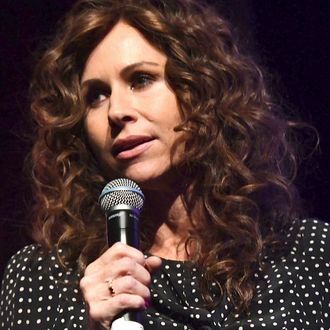 If you’ve spent the last decade consumed with frustration over the abrupt cancellation of FX’s The Riches, the show’s star Minnie Driver agrees with you. Take that, exhausted friends and family! Driver responded to a question on Twitter that asked what TV show you would resurrect by lamenting the demise of the show she starred in for two seasons with Eddie Izzard. “It was a brilliant show, predicated on an even more brilliant idea,” she wrote. “We were cancelled in the wake of punitive measures taken against writers who were vocal in the writers strike in 2007. Lunacy. I’d make this show again in a heartbeat.” Publicly, the network claimed the show was cancelled due to a dip in ratings, though that dip was undoubtedly affected by the show’s forced hiatus during the 2007 stoppage. And while The Riches did earn Driver an Emmy nomination, it didn’t have any singing, so, you win some, you lose some.